Not to sound brash, but I think New Year’s resolutions are cop-outs. They’re glimmers of hope for folks who typically can’t commit to anything worthwhile for more than a few days. This year, I’m going to get in shape. This year, I’m going to volunteer more. Most never even get out of the gate. This year, I’m going to make more money. The way I see it, anything worth being a New Year’s resolution should be a resolution for a lifetime. Especially when it comes to building wealth. Life, love, money... they always want more. Say what you want about that mentality, but the truth is, it’s this way of thinking that provides the root structure for prosperity. You think Warren Buffett was satisfied with his first million? Or better yet, his first billion? And what about Elon Musk? In 1995, Elon Musk started a company that provided maps and directories to online newspapers. He later sold that company for $22 million. Musk could’ve walked off into the sunset and spent the rest of his life sipping Mai Tais on the beaches of Hawaii after landing that deal. Instead, he became the CEO of PayPal, which later earned him $165 million. Still not satisfied, Musk went on to launch Tesla (NASDAQ: TSLA) and SpaceX. Today, he’s one of the richest people in the world, boasting a net worth of about $20 billion. And I guarantee you that’s still not enough. Warren Buffett, Elon Musk, and every other self-made billionaire in the world don’t need New Year’s resolutions or any other special reason to make more money. And neither should you. As a member of Energy and Capital, you’re already way ahead of the game. You clearly have not accepted the notion that creating wealth is something you strive for only as a result of a New Year’s resolution. And that, dear reader, puts you in the same mindset as the Warren Buffetts and Elon Musks of the world. All you need now are the tools to make it happen. And today, I’m going to provide you with those tools. If you’re a regular reader of these pages, you know that in 2017, we made an absolute fortune in the legal cannabis space. Nine out of the 12 stocks in this portfolio are legal cannabis stocks, and two of those stocks have delivered gains in excess of 1,500%. That ain’t chump change, my friend. But it’s also not enough. Especially now that 2018 is gearing up to be an even bigger year in the legal cannabis space. With all the hustle and bustle of the holidays, not many people took notice of a very big piece of news that came out right before Christmas. Mexico announced that it was beginning to legalize sales of cannabis-infused products. You see, our neighbors to the south legalized the use of medical cannabis in 2017, but this latest announcement indicates that Mexico will likely rely on imported cannabis products, at least in the early days of legalization. Although logistically California would be an excellent source for medical cannabis products to be exported to Mexico, it’s Canada that’s going to benefit from this decision, as our neighbors to the north got the first-mover advantage in the rapidly expanding legal cannabis market. The companies most likely to benefit from this decision are the cannabis players that have already made inroads to foreign markets. These include but are not limited to Canopy Growth Corporation (TSX: WEED), Aphria, Inc. (TSX: APH), and Aurora Cannabis (TSX: ACB). And there will be more, as Mexico is now looking like the very early days of the Canada medical cannabis market. That being said, there’s another market we’re going to focus more on next year, too. And it’s the U.S. market. Although there are few options for quality U.S. cannabis stocks, the domestic market has started to gain some serious traction thanks to last year’s legalization efforts as well as new legalization efforts that are already underway for 2018. In fact, Vermont Governor Phil Scott has recently announced that the state is prepared to legalize after the legislature reconvenes this week, and New Jersey Governor-elect Phil Murphy has been very aggressive in getting cannabis legalization approved and has hinted that he’s ready to pass such legislation this year. It should also be noted that the threat of Jeff Sessions cracking down on the legal cannabis market has turned out to fall flat, just as I had anticipated. The bottom line is that the U.S. market is winning in the face of federal prohibition. And that’s great news for cannabis investors. One company that I recently added to my portfolio is a national consulting firm that has its hands in everything from cultivation to dispensaries all along the East Coast, where there’s far less competition compared to places like California, Oregon, and Colorado. At the moment, it manages eight facilities in Rhode Island, Delaware, Illinois, and Nevada, with five new facilities under development in Massachusetts and Maryland. 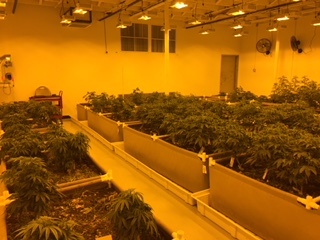 I actually checked out the company's new grow operation in Maryland last week. It’s still under construction, but I did get to see its first two grows that are only weeks old at the moment. Maryland is actually a pretty lucrative market, despite its small geographical size. A couple weeks ago, the first dispensary opened in the Free State, and two more will open next week. Patients are piling up, however, because there’s not enough product to meet demand. 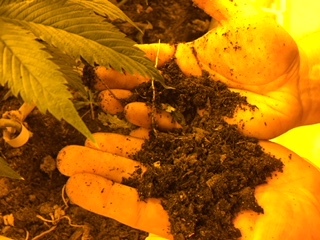 Early analysis indicates that Maryland won’t be able to meet demand until around June or July of 2018, which means any company that has a grow in Maryland is sitting pretty. The company we just added to our portfolio has one, and it’s pretty sweet! The operation is state-of-the-art, and the guys running it are real farmers and biologists, not just cannabis advocates. Because I have a bit of a farming background myself, I was able to confirm that these guys are the real deal. They’re also growing in one of the most sustainable manners I’ve ever seen in an indoor grow. They may actually be the first to do a pure, closed-loop system for an indoor grow, meaning no external inputs, which can really pressure margins. 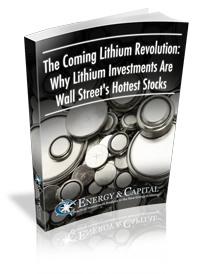 You can read my complete analysis on this company, along with its ticker symbol, by becoming a member of my private Green Chip Stocks investment community. Just click here for instant access. And if you’re new to the legal cannabis market and you just want to learn more about it, click here to watch my “Introduction to Cannabis Investing” video. This video will give you a better understanding of why we made so much money in the cannabis space last year and why we’re going to make even more in 2018. You can also check out my “Beginner’s Guide to Cannabis Investing” e-book, which has helped thousands of Energy and Capital readers get access to some of the most profitable cannabis stocks in the world. This guide actually includes a list of more than 40 cannabis stocks you can buy right now. You can get access to this 77-page e-book by clicking here. While we definitely made a fortune in cannabis stocks last year, it’s still not enough. At least not for me. Just like Warren Buffett and Elon Musk, I want more. And I know you do, too. It’s the biggest cannabis player in the space. Some have actually called it the Wal-Mart of Weed! Energy and Capital readers continue to get rich by investing in pot stocks, and 2018 is about to be an even better year for it.